There are several things that you can do when it's raining outside at Disney World that are fun. Orlando often gets small storms that can blow over in an hour or so. One way to get out of the rain is to grab a bite to eat. Table service restaurants offer the best choice for getting out of the rain but most are booked up with advanced dining reservations, making counter service your best bet. It can be difficult to find a restaurant where there is indoor seating or seating that is covered well enough that you won't get wet. These are some of the best counter service options I've found. Tortuga Tavern across from Pirates of the Caribbean. Tortuga is open seasonally so it may not be an option. When it's open it's usually only until 4 pm. Pecos Bill Tall Tale Inn and Cafe in Frontierland near Splash Mountain. 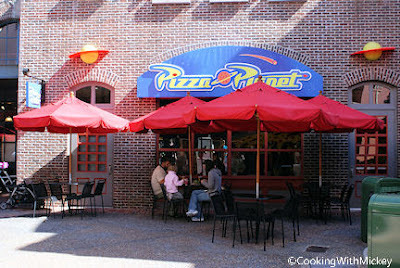 This is one of the best choices because the restaurants has a lot of seating and tons of it are located inside. Columbia Harbour House across from the Haunted Mansion. There is a lot of indoor seating making this an excellent choice, especially if you like seafood and fish. Pinocchio Village Haus in Fantasyland. This is another restaurant with a lot of indoor seating. Be Our Guest in the New Fantasyland. Right now there are typically very long lines for lunch here (which is when it's a counter service option), but once there lines are gone this restaurant will be a fantastic choice because of the three dining rooms inside. 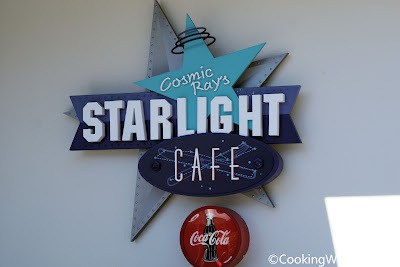 Cosmic Ray's Starlight Cafe between Fantasyland and Tomorrowland. This restaurants has a lot of seating and most of it's inside. There are three sections of seating and the main section is where you can catch Sonny Eclipse. Tomorrowland Terrace in Tomorrowland. Currently the restaurant is open due to the refurbishment of Main Street Bakery. There is no word on whether or not it will remain a dining option after the reopening. Tomorrowland Terrace has covered outdoor seating and a lot of it. Many people have taken cover here from the rain. There are no worries when it comes to dining in the rain at Magic Kingdom. The park has many options and most have several dining areas inside to find a seat. Sunshine Seasons in the Land pavilion. This restaurant sits in the middle of the pavilion on the bottom level. It has an incredible amount of seating and is open for breakfast, lunch and dinner. Electric Umbrella outside of Innoventions East. This Future World restaurant has both indoor and outdoor seating but there is a good bit of it inside. If you're caught in the rain near Mission: Space this is the place for you. Boulangerie Patisserie located in the back of the France pavilion. The restaurant has a new location which offers some seating inside but it's very limited. 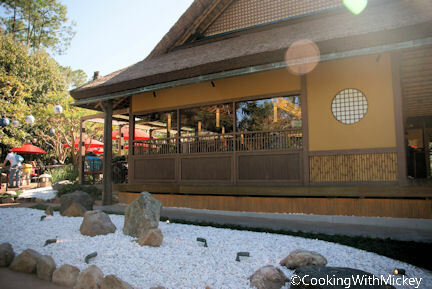 Katsura Grill located in the Japan pavilion. Katsura has both indoor and outdoor seating. Both are very limited but you can usual find a table as it's often overlooked. Liberty Inn in The American Adventure pavilion. There is tons of seating here, most outside, but you'll be able to find a seat inside the large dining room. Lotus Blossom Cafe in the China pavilion. This small counter service location has limited seating with two dining rooms but you should be able to grab a table. Epcot serves up a wide variety of dining choices and many of them offer refuge from the sun and rain. There are two dining options that I didn't include: Sommerfest in the Germany pavilion and Kringla Bakeri og Kafe in Norway. Reason being, they have very, very limited seating. It's outside and covered, and often will be taken up by guests trying to stay dry rather than dining. Chances of getting a table in the rain are very slim. Backlot Express located next to Star Tours. This restaurants has a lot of indoor seating! Pizza Planet located in front of Muppet Vision 3D. There is a decent amount of seating. However, it's difficult to find a table here when it's typical dining hours. ABC Commissary located on Commissary Lane. This is another restaurant that has a lot of indoor seating. Studio Catering Co. located near Lights, Motor, Action. Seating is outdoors but it is completely covered so if you find seating closer to the middle you'll stay dry. This restaurants isn't always open either. It only operates seasonally. Disney's Hollywood Studios is the second hardest places to find a place to eat that is out in the rain. All of the dining located on Sunset Blvd. (Tower of Terror and Rock n' Roller Coaster) is outside. So it eliminates a lot of dining choices when it storms. 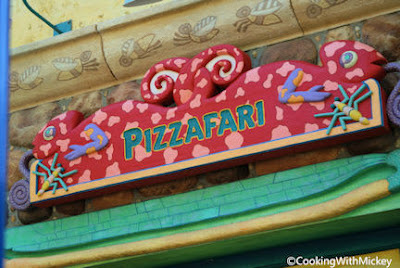 Pizzafari is located near the entrance to Camp Minnie-Mickey has indoor and outdoor seating. There is an abundance of seating inside. Restaurantosaurus is located in Dinoland U.S.A. near Dinosaur. There is plenty of indoor seating and the outdoor seating is covered, but most of it isn't enough to keep you dry. This is the hardest park to find seating that isn't outside. Flame Tree BBQ has covered seating, but it's outside so if it's pouring and windy it's not an option. If you going during a steady rain, you'll be able to stay dry under the covered pavilions. What do you do when it's raining at Disney World?